I saw these veggies at the grocery store. I thought they were radishes but they were just so big that I had to ask an employee. Sure enough: radishes. I put that normal sized banana on the display to give you an idea of the size. Have you ever seen radishes this big? What do you do with them? I've never seen them used by anyone I know or served in restaurants, but some people must use them or they wouldn't sell them. The small common red radishes that we are used to in the US, get very woody if you let them grow too big but maybe these are meant to be that way. Darn! I forgot to weigh one of them. Look below. You can even buy half a radish! The following is a guest blog from Gail. Gail is an American who owns a house on the island Utila and has been coming to Honduras for several years. We arrived on TACA in San Pedro Sula at 6 pm, only to be informed that three of our four bags had not arrived with us. This is not unusual – it is rare that we get all of our luggage on time, but it generally shows up on the next flight some hours later. This time, we were on the last flight. The TACA representative assured me that the bags would be in San Pedro Sula the next morning, but we were going to be on the bus to La Ceiba by that time. I asked TACA to deliver the bags to the Gran Hotel Paris in La Ceiba. We were actually staying with friends in La Ceiba for the night on this trip, but I’d accidentally left my address book with their contact info at home. We had stayed at the Paris on other trips over the years and I knew they could store the bags and would be reliable for their security - plus it was the only idea I could come up with on such short notice. After filling out the TACA paperwork, we went to La Posada (a Bed and Breakfast in San Pedro Sula that we were trying for the first time – and will be using from now on [Trip Advisor reviews]) for the night. The next morning we were to take the Hedman Alas bus to La Ceiba, but due to the highway closure by protesters, our 10:30 am bus had been cancelled. We wound up on the 3:20 pm bus instead. Hedman Alas was able to contact our friends to let them know that we would be arriving later than we’d arranged, but I didn’t think to ask them to call Hotel Gran Paris so I could explain the delivery of our bags to them. That turned out to be a huge mistake. HUGE! On our arrival in La Ceiba at 6:30 pm, we went to Hotel Paris to see if the bags had arrived. Marvin (now nicknamed Marvelous Marvin for his efforts) was manning the desk and had some notes from the day shift on the bags. Because we were not registered, there was a lot of confusion. After much back-and-forth in Spanish and English, it turned out that TACA had kept the bags in San Pedro Sula because our luggage tags read Utila as the final destination. End result — no bags today. We would stay over an extra day in La Ceiba to allow them to catch up. The third morning, we started making phone calls early. The goal was to be on the morning ferry to Utila the next day. Marvin had bad news for us – TACA now wanted to send our luggage to Utila, which meant that we would be without clothes and other packed items for another four days, which was when the next flight to Utila was scheduled. Since we were carrying construction supplies for house repairs, this would a major setback for us, not to mention the fact that the clothes we had been wearing were getting pretty ripe by now. Also, we would have to rent a boat to town in Utila to meet the plane — which would cost us one day and about $50 (boat, taxi, lunch, tips), neither of which we could afford to lose. The best solution was to get them to put the bags on the Hedman Alas bus to La Ceiba. Thank goodness our host was Honduran, because we could have never managed over the phone with our limited Spanish. It also helped that he has the patience of a saint. He was able to reach someone in TACA and explain the situation. The TACA rep promptly told us that there is no way the bags could be sent today because they would only send bags with Hedman Alas (an interesting endorsement of the bus company) and that there was only one bus that left the airport at 6 am. Well, this floored us, since we knew there were four buses daily leaving the airport, all connecting to La Ceiba! A call to Hedman Alas confirmed this. It took several phone calls and about an hour to convince TACA that it was possible to get the bags onto a non-6 am Hedman Alas bus. She reluctantly agreed to put the bags onto the 2:15 bus. Mind you, this is a matter of walking 200 feet from the airline’s baggage area to the bus office in the same building — it’s not like she had to arrange delivery across town. We were promised a phone call when the arrangements had been made. Several hours later, we started calling to find out what the situation was. The lady whom we had spoken with had gone to lunch. The deadline for making the bus was quickly approaching, so we begged the person in the office to please try to push the paperwork through. We were elated when she reassured us that it was on the bus that would arrive at 6:30 pm. With the bags on their way, we relaxed until it was time to meet the 6:30 pm bus. We made sure we were there in plenty of time, paperwork in hand. After the crowd claiming luggage thinned, we came forward to get ours. Nada. The bags weren’t there. The Hedman Alas ticket man looked up our claim numbers on the computer and confirmed that they would be on the 9:30 pm bus – but we couldn’t get the bags until the following morning because the office would be closed! I suspect we were looking pretty crazy by now. There was no way to make the morning ferry if we had to wait until the office opened. The staff was sympathetic, but had no authority to change the situation. As luck would have it, our hosts had contacts in Hedman Alas who were able to assist us. Phone calls were made. The office staff was authorized to accommodate us, even if they had to stay late. We went to dinner and returned for the last bus of the day. For one heart-stopping moment, we thought our luggage had not arrived, but it turned up in a compartment on the opposite side of the bus. Success!! The people working at Hedman Alas proved to be exceptionally helpful. From the woman in San Pedro Sula who came looking for me after I’d inquired about making a phone call to our hosts to explain we would not be arriving as planned (I was trying to find a phone number in old e-mails on my laptop – she was following up to make sure the call was placed), the ticket seller in La Ceiba who patiently searched for our bags in the computer and bravely faced the crazy gringa with courtesy and concern, the manager who was able to arrange for us to get the bags after hours and even the baggage handler Fidel, who was as happy as we were to see the luggage arrive but carefully made sure that the bag claim numbers matched on our paperwork. It was all handled very professionally. Every time we have taken Hedman Alas, we have been impressed with the personnel. Their security guards, counter agents, and drivers seem to be well trained in customer service. The office workers and management were able to think outside the box in solving a problem. Security is taken VERY seriously. The fact that TACA will only use Hedman Alas to deliver luggage is a testament to their service. The bus terminals are clean and comfortable. I will always use Hedman Alas and have no qualms about recommending them to anyone who travels by bus in Honduras. Life is always an adventure in Honduras. Hedman Alas makes it a better one. Credit were credit is due! 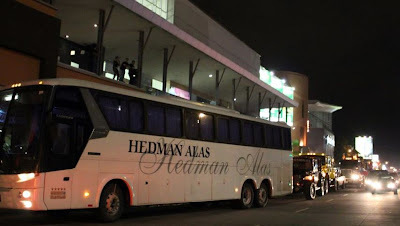 While TACA airlines is infamous for not putting luggage on the same plan as passengers, a common joke is that the only things that run on time in Honduras are the Hedman Alas buses. I highly recommend traveling by Hedman as they take safety and security very seriously. You can find their webpage here which also includes an on-line chat. 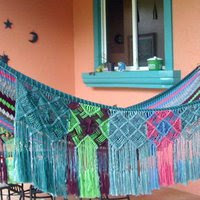 Hedman Alas also has an active bilingual Facebook presence in case your questions are not answered at the website. And no, this is not a paid advertisement. Just giving credit to a well-run Honduras business. In case you didn't guess, we were the hosts and El Jefe was the knight in shining armor, as was Aaron Hedman who made sure that the employees had instructions to release the bags after hours. Has it really been two months since I posted? Yikes, almost three months. Is anybody still out there? And La Gringa stands back to listen to the words echo in the empty room. I feel that I owe you an explanation but I'm not sure that I can explain my absence except that most bloggers get burned out after a time. It is really hard to get back into the habit of posting regularly once you stop; there are millions of defunct blogs cluttering up the blogosphere as proof of that statement. In my case, I think I depressed myself by trying to keep up with all the crime and criminal cops info. Things — and by that I mean crime and the system in general — are much worse than most people living in the first world can ever imagine. Remember that I was keeping up with all the news articles about cops committing crimes? I should say trying to keep up. It was just beyond belief how many were reported, especially when you consider that most of them don't get caught and even fewer get convicted because everyone is afraid to testify, and rightly so. A couple of girls that El Jefe knew turned up in a clandestine grave in La Ceiba among the other bodies of people thought to have been murdered by police. They supposedly removed and replaced all of the police in La Ceiba, but that is usually a big fat lie. Then there are the congress, courts, and president talking the talk but not walking the walk — having meetings, setting up phony commissions, passing worthless laws that will never be enforced anyway, making false promises that they know they have no intention of keeping, etc., etc., etc. I figured that everyone was tired of hearing about that. So I just shut down. I quit reading the online news completely, cancelled the newspaper, and stopped watching the news. I didn't have anything to tweet about. I went cold turkey from a complete news junkie to nada. I have over 600 unread emails in my main account and about 70 in my blog account. Most of those are news alerts from the various sources I subscribe to. I don't know why I saved them -- I guess thinking that I would get back into it and might need them for reference. But even still, I would catch tidbits, see a headline, or overhear the news when El Jefe was watching. Aaaack! Nothing changes; it only gets worse. I decided that I would just blog about 'light' things but didn't get very far with that either. When it rains, it pours, you know? First there was a month long headache-inducing pounding and chiseling of concrete inside the house when another huge section of our tile floors exploded. Not much fun to write about that, and besides, I already did the last time. Then there were other disappointments and sad things that I can't really go into for security reasons or because they involve other people. I'll have to think on that to see if I can write about some of it in generalities in the future. Oh, and El Jefe is fine, in case you were wondering about him. I'm sitting here typing this in my text program and I see at least 30 articles spread across the top of the screen that I started since the beginning of the year and never finished. I wish I could understand why I didn't finish them! What a waste of time! I must have hundreds of hours of work in those and now they aren't 'news' anymore anyway. I'm feeling like a failure. I'm also feeling hugely guilty about all the emails of concern that I received and didn't reply to. Even El Jefe has been saying, "You NEED to write SOMETHING!" It has been so long that when I sat down determined to finally post something here, I first found that I had forgotten my password and then found that Blogger had completely changed the interface and I was totally lost. How long was I gone?! I feel like a new blogger all over again. So, dear readers, I hope you've been well? What has been up with you these past couple of months? Tell me about it in the comments, please. Please make me laugh if you can. ;-) I need some of that. If you are reading this from the subscription email, let me hear from you, too. Click the blue article title in the email to be whisked away to the Blogicito! You could also give me a 'like' or a '+1' or a tweet to let me know you are still out there. I've missed you all. I'm going to go read your emails now if I can find them among all the dreck.